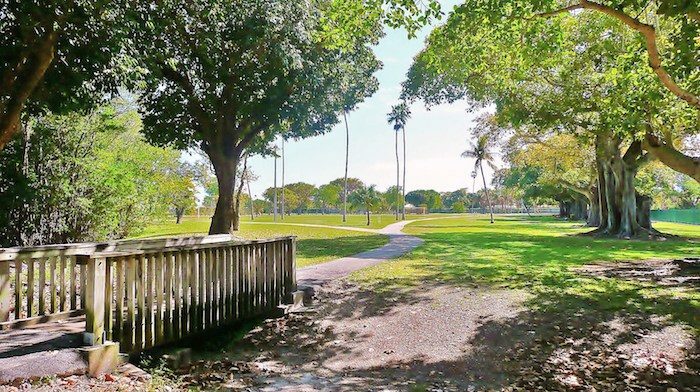 Morningside Park offers a pleasant spot for a run, 4 miles north of downtown Miami and near I-195. There’s about 1 mile of shaded, paved trails in the park, which is also a popular tennis and rec center. There are nice water views as well. For a longer run, the residential neighborhood just to the west of the park is very pleasant for running, with windy, low-trafficked roads.